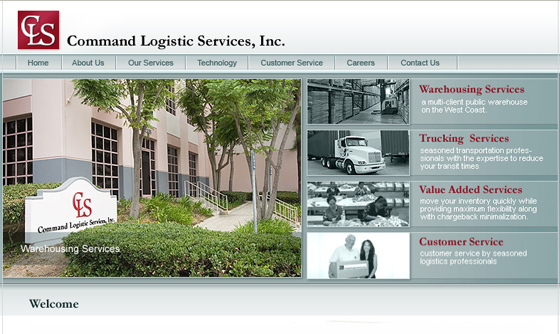 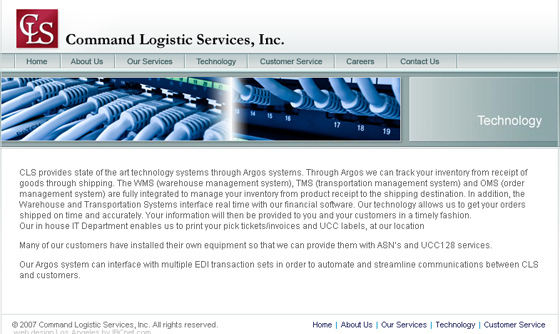 Command Logistic Services is a warehousing services company established in 1986. 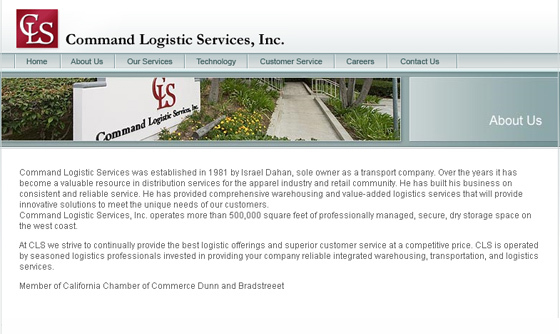 We are a valuable resource in distribution services for the apparel industry and retail community providing trucking services, value added services, and superior customer service. 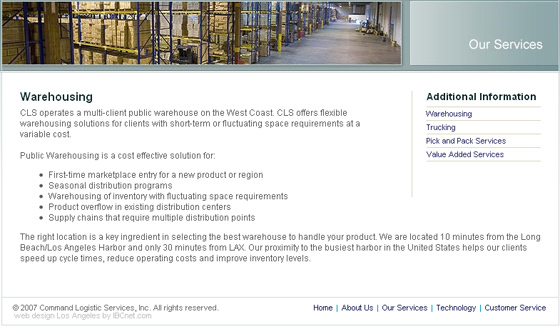 CLS chooses IBCnet to design and develop an online equivalent to existing offline image.